An early morning calling session landed this beautiful songdog in my shooting lane. It was over almost as quick as it got started. 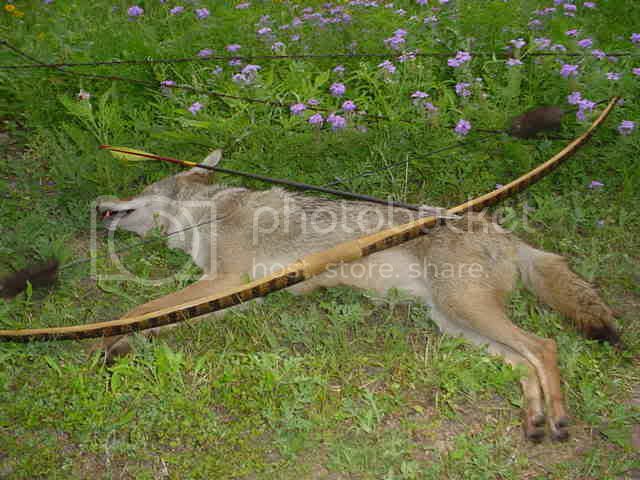 The hunt was picture perfect down to the sinew-backed Osage bow I was shooting "The Dream Keeper". I've been told that this is a great trophy. I totally agree. Glad to see someone still hunting. Nice job Curtis. That is sweet!! Were you in a blind? I'd love to hear the story. Great job Curtis! I've killed one while hunting deer, but never went out looking to kill one and succeeded!